Mondays are for roasting chickens in my house. Most of the time it’s a whole chicken (sometimes just the breasts — see my quick recipe below). I’ll roast on Mondays and we have it for dinner that night. The rest is “featured again” later in the week (don’t tell my husband — he hates leftovers). Often, round two of the roast chicken becomes taco night or quesadillas con pollo, but if there’s enough I’ll make chicken salad. I love chicken salad. It’s pure comfort food– a surge of protein with a mayo chaser, what’s not to love? Here’s my latest take on this classic, inspired by the green spring onions and basil in my garden. The Mediterranean twist is so satisfying, fresh, light and totally delicious. I’m hosting a luncheon here soon and you can be sure this will be on the menu. 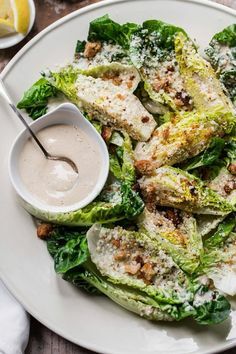 Mix the ingredients for the dressing in a medium bowl and combine it with the salad ingredients. Serve immediately or store in the fridge until you are ready to eat. Right before serving garnish with a sprinkle of sea salt and some small basil leaves. I love the flavor of these chicken breasts. For chicken salad I bake the breasts with the skin on. When they are cooked through I peel the skin off and then pull the meat off the bone. The result is super succulent meat that is tasty and easy to dice. Place the chicken breasts on a cookie sheet and splash olive oil on each of the pieces — cover evenly. Then sprinkle your desired amount of salt and freshly ground black pepper. Note: I usually roast 4 breasts at a time so I have leftovers. Two breasts will yield what you will need for the chicken salad. I am loving your blog! Great food, great photos. Our mutual friend Lauren B. in LA told me I had to check out your work. So glad she did! This chicken salad recipe sounds delicious (pine nuts – great addition). Totally fresh and great for summer. Thank you for sharing. Thank you, Jennifer (and LB). Try out the recipe and let me know what you think! Absolutely LOVE your blog! Would love to connect sometime with you as I’m hoping to start one as well. Can you give me your email address?